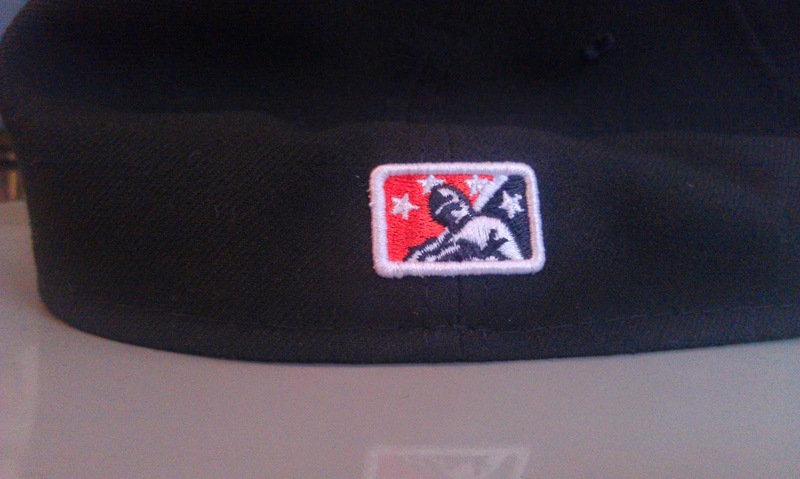 2011 Norfolk Tides Cap - Fresh Fitted Friday!!!! I spent this past Memorial Day weekend relaxing in my childhood hometown of Virginia Beach, Virginia. 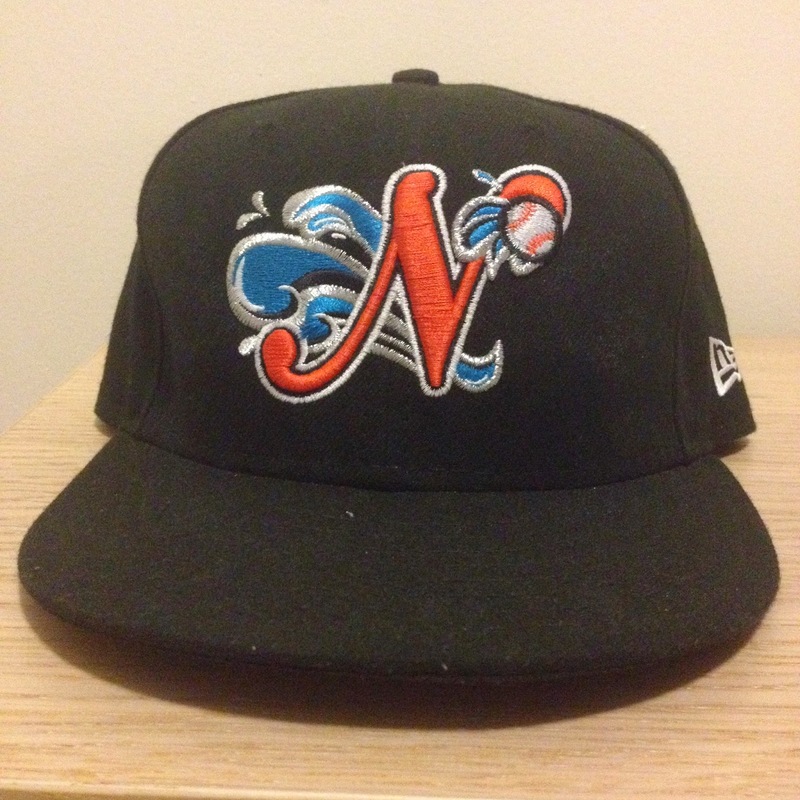 The holiday always symbolized the beginning of summer to me and because I can only associate this impending season with baseball, I feel compelled to showcase a hat from the team that entertained me for so many summers: the Norfolk Tides. ....and now for some sad news: This style is one that the Tides only wear on the road and sadly I've never actually seen them wearing this cap as I haven't yet had a chance to see them play anywhere other than Harbor Park in Norfolk. This particular cap is from 2011, but I've been unable to find any photos of Tides wearing the cap in any cards before 2009 and there doesn't seem to be too many recent cards out there where they are wearing it either. On a more positive note, I personally like this logo more than any of the other versions from recent years, though I'm not sure if I could really describe what action is happening on the cap. If I were to offer my best guess, I'd say it seems as though there is a baseball that has made a splash in the water, thus causing some sort of tide-like effect. This explanation is highly unlikely because anyone who grew up in the Hampton Roads region of Virginia should at least be able to tell you that a "tide" is caused by a tidal force, which in all simplicity is an effect of gravity. Scientific explanations aside, this cap is a gem. I saw so many Tides games growing up and never once did I image a day would come where they'd play wearing any cap other than this masterpiece. While I appreciate the vintage caps for their kitsch value, the ones of current times certainly do not lack charm and originality. I appreciate that teams are willing to take risks with designs and that fans are generally welcoming of them. 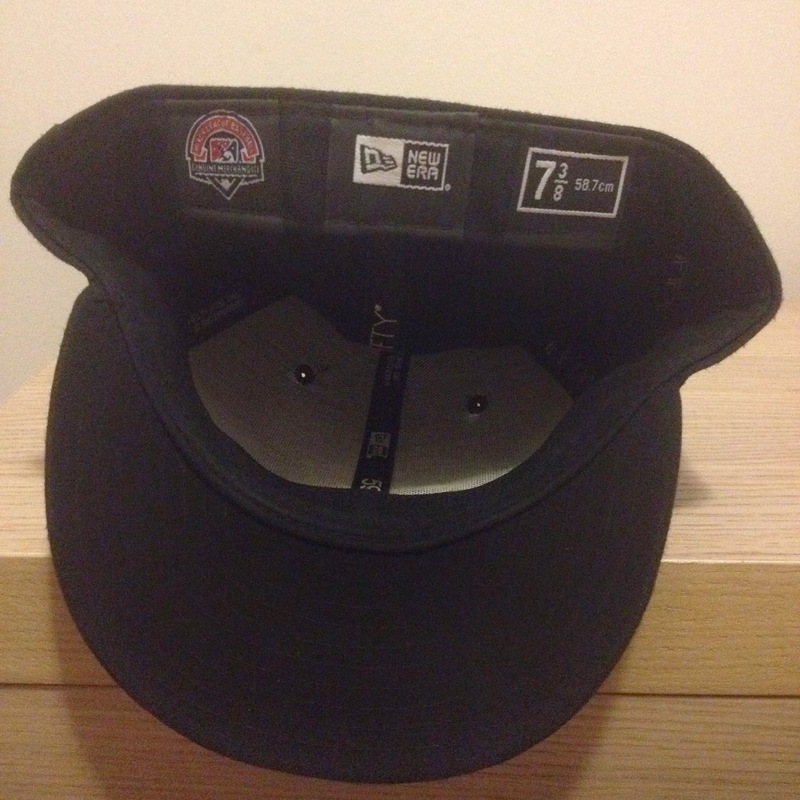 My hope for everyone out there is that if you had a minor league team that you followed growing up, that you'd find a way to support them in a way such as picking up an updated version of their caps! 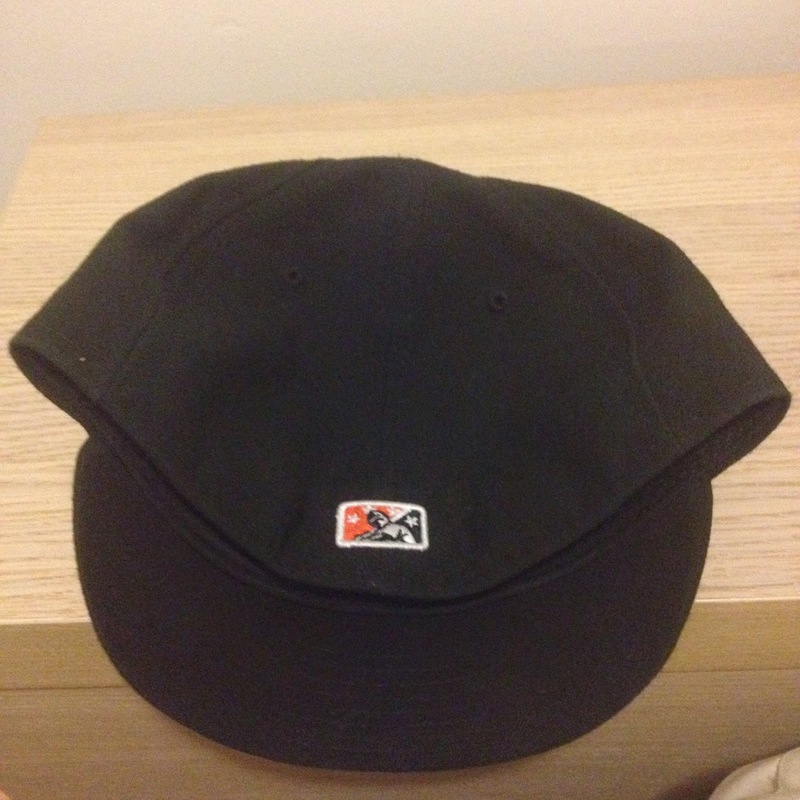 1969 Clinton Pilots Cap - Fresh Fitted Friday!!!! 1995 Stockton Ports Cap - Fresh Fitted Friday!!!! 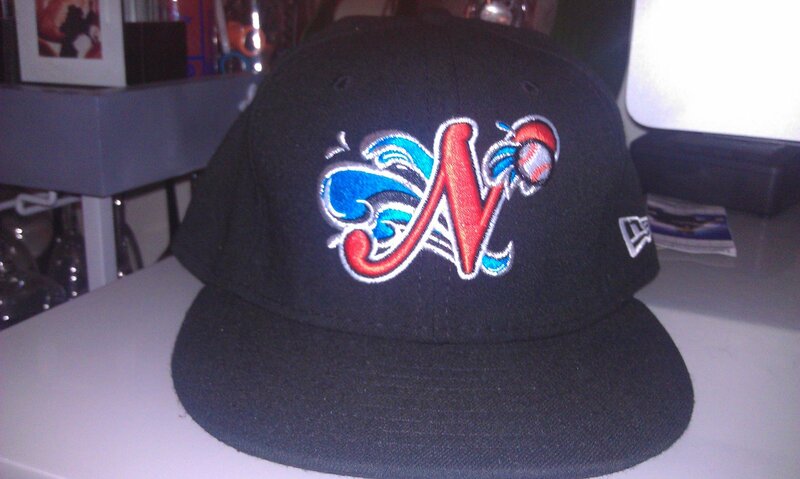 1996 Midland Angels - Fresh Fitted Friday!!! !